If you’re an estate trustee facing legal action concerning the administration of a loved one’s estate, or if you wish to make a claim against a deceased estate, contact the dedicated estate litigation lawyers at Rogerson Law Group based in Toronto, Ontario. With offices in Toronto & Barrie, Ontario, our Estate litigation lawyers at Rogerson Law Group serve entire Greater Toronto Area. The number of challenges against a deceased estate has been steadily rising in recent years and can be complicated – but with expert help as early as possible, our experienced estate litigation lawyers will give robust, strategic advice on the merits or otherwise of the claim, and how best to proceed. We will consider all the circumstances of your case, including the background to your claim. This will enable us to give you the best possible advice as to how to proceed. If you are seeking to make a claim, we will also consider other issues including your financial needs. Our estate litigation team is reputed for its aggressive but sympathetic approach to claims involving deceased estates. We never lose sight of the fact that that there are invariably grieving family members. However, we do not hesitate to take a robust stance in pursuing a rightful claim through the court, or defending claims on behalf of clients. 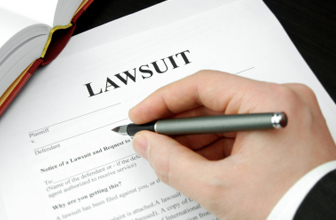 Many claims can be settled before reaching the court room. Whilst we take an aggressive stance on behalf of our clients, we endeavour to consider reasonable offers to settle a claim as early as possible. With our client’s instructions, we will also propose settlements where we believe this will be in our client’s best interests. Robust negotiation can be highly successful and save a lot of money in legal fees in the long run. It also reduces the period of distressing litigation at a time when many parties continue to grieve. Where the parties agree to a settlement, Minutes of Settlement will be drawn up to reflect the agreement. This is a legally binding agreement representing the agreed terms of the settlement. We deal with many cases, including high value cases, involving assets abroad, family members who are overseas, and foreign wills. Our Estate Litigation lawyers are renowned for their years of successful multi-jurisdictional experience. The team works with the firm’s cross border team where client needs require cross-border expertise. Our team is led by Andrew Rogerson, an experienced estate litigator. He is assisted by estate litigation lawyers Joseph Gyverson & Katherine Mazur who are both skillful courtroom advocates. Contact us now for expert, strategic estate litigation advice. Our Toronto estate lawyers can help you with your estate planning needs in the entire GTA including Toronto, Scarborough, Mississauga, Vaughan, Brampton, Richmond Hill, Etobicoke, Barrie and other areas with offices located in downtown Toronto, Barrie, and associated offices in Ottawa. Fiduciary obligations under Power of Attorney Andrew Rogerson acted on behalf of a party in a guardianship application to the Superior Court of Ontario for her elderly and incapable father. The client alleged that her sibling, who held Powers of Attorney for property and personal care, was neglecting their father’s needs and not fulfilling fiduciary obligations under the Powers of Attorney. High-value cross-border estate disputeThe firm acted successfully for a Trust Foundation holding over $25 million in a complex and acrimonious estate dispute spanning multiple jurisdictions (including Ontario, the Turks, and Caicos, Panama and Bermuda). We co-ordinated our client’s legal efforts across these jurisdictions and obtained a favorable settlement. As part of our representation, we drafted and brokered an interim agreement involving the transfer of over $10 million to estate beneficiaries. Midel v VandentopIn this case, Andrew Rogerson successfully acted for the ex-wife in her claim against her deceased ex-husband’s estate – 35 years after they divorced. Ontario Superior Court held the estate liable to support her, even though she had never obtained a court order for spousal support (maintenance). The deceased emigrated to Canada from Holland with his ex-wife and became a highly successful businessman. The marriage lasted for 15 years, produced two children and ended in 1975. The ex-wife was terrorized by thugs employed by the husband so dropped claims for spousal support. Around 30 years later (during which time they did not see each other), and five years before the deceased’s death, the ex-wife discovered he had terminal cancer and sent him a get well card. The deceased feeling remorseful then bought a life lease in a retirement home for his ex-wife, established an annuity to provide her with a modest monthly income and gave her modest cash sums. However, he made no provision for her in his will and, following his death, she made a claim against the estate for financial provision on the basis she had experienced difficulty in making ends meet. For instance, the monthly management fee for the retirement home had increased.The court ruled that by his voluntary actions in providing financial assistance to his ex-wife, pursuant to a moral obligation, the deceased had brought the ex-wife within the definition of ‘dependant’ under s57 Succession Law Reform Act The estate argued that the financial assistance provided by the deceased was made pursuant to a moral, not legal obligation and he claims should not succeed. The court found in the ex-wife’s favor: a moral obligation was sufficient to satisfy her claim. The case has significant implications where a deceased has given financial help just prior to death, to an ex-spouse, with whom he has had no contact in several decades and has no legal obligation to support. The team is currently representing family members in litigation of a deceased estate case involving Ontario, Bermuda, the Turks and Caicos Islands and Panama. We recently acted in contested estate litigation involving Canada and the United Kingdom in which we successfully argued that the proceedings in the UK should be stayed and those in Ontario proceed. Contact Rogerson Law Group at (416) 504 2259 – Our rigorous but sympathetic Estate Litigation Lawyers can offer you sound & strategic advise for domestic (Greater Toronto Area) & international estate disputes or litigation involving multi-jurisdictional matter.